Several civilizations settled in Milazzo and left signs of their presence from the Neolithic age. In Homer's Odyssey Milazzo is the place where Ulysses is shipwrecked and meets Polyphemus. Historically, the town originated as the ancient Mylae, an outpost of Zancle, occupied before 648 BC, perhaps as early as 716 BC. It was taken by the Athenians in 426 BC. The people of Rhegium planted here the exiles from Naxos and Catana in 395 BC as a counterpoise to Dionysius the Elder's foundation of Tyndaris; but Dionysius soon took it. In the bay Duilius won the first Roman naval victory over the Carthaginians (260 BC). In 36 BC the naval battle of Mylae was fought offshore. The fleet of Octavian, commanded by Marcus Agrippa, engaged that of Sextus Pompey. While the battle was nearly a draw, Sextus could not replace his losses, and was thus weaker at the following battle of Naulochus (36 BC), where he was utterly defeated. After the fall of the Western Roman Empire, under the Byzantines, the town became one of the first episcopal seats of Sicily. 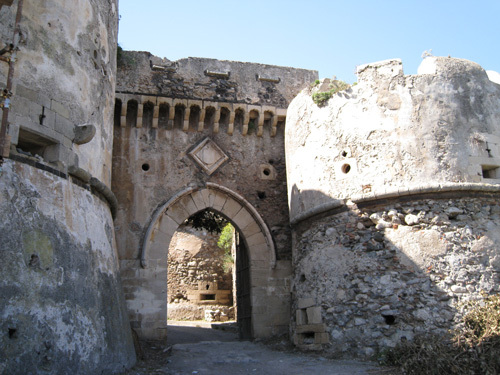 In the 9th century Milazzo was conquered by the Arabs, who built here the first nucleus of the castle. Frederick II of Hohenstaufen further fortified the town and created here a personal hunting park. The castle was later mostly rebuilt in the age of Charles V of Spain.